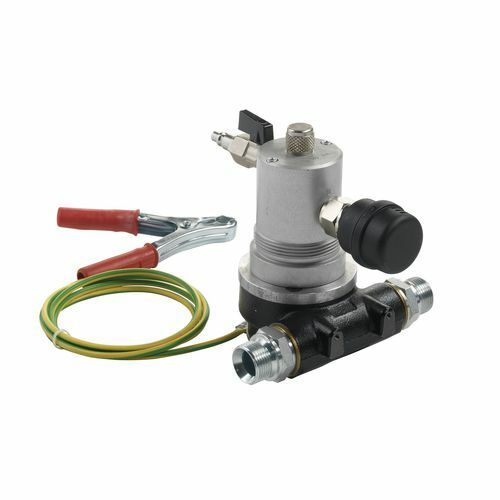 Self-priming air-operated rotary vane pump for the transfer of petrol. Body in cast iron with anti-corrosion coating and plastic rotor. The pump is equipped with an earth cable to enable an electrostatic discharge and is constructed in accordance with directive ATEX 94/9/EC.